What is the objective of the e-learning content? The objective of the e-learning content is by far the most crucial decision to be made here before the entire process begins. The objective could be either to communicate a message to the client organization, or to distribute important specific information such as policy procedure or compliance needs. To know the objective is critical because this is the driver of the overcall scope of the project and of the instructional design of the project. Development needs vary and therefore costs too, so it is very important for the objective of the content to be defined and agreed upon early on. How is the “Priority Triangle” designed? The three angles of this triangle are time, quality and cost. With the overall objective of the project decided, these three parameters should be determined to give the project its scope. The deadline of the project, its relevance, drivers to the deadline and related questions need to be answered. Further, find out if the timeline leaves enough time for changes and modifications to the project. Tight deadline will leave fewer chances of making changes, and so all development milestones will need to be strictly adhered to. Besides, reviews and approvals are very important too. The e-learning company needs to know the quality of course expected by the client organization. This will depend on the objective of the course. Of course, the course will have to be easily navigable, visually accurate and present the topic well. If the course must merely communicate information, then it can be developed quickly and at minimum cost, with interactivity at a minimum. But if the level of engagement is high, interactivity should be linked with the skills to be done while on the job. The course would therefore have to be engaging, and of a high quality. However, if skill development and behavioural change are the two objectives of the course, good quality will be essential to meet the course’s goal. To be on the safe side, it is better to delay costing until you have all the details possible such as project goals, roles and content. Areas of expenditure include content development/instructional design, e-learning design and development, image or animation development and audio-visual production. What is the client organization’s contribution to the e-learning content? 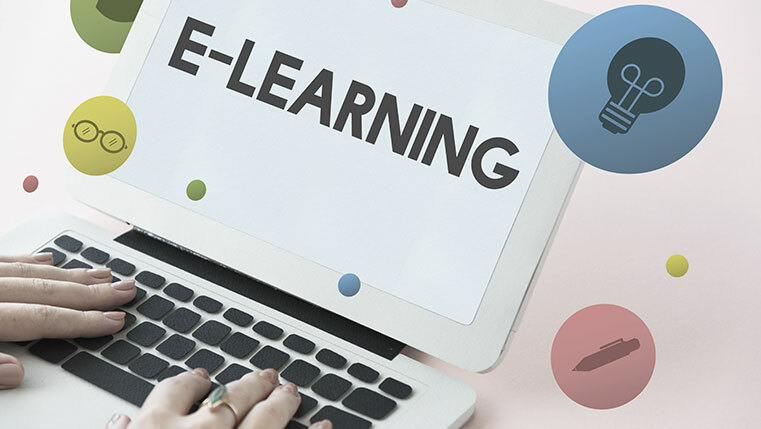 For this, an e-learning company must consider its in-house development capabilities, client’s learner demographics and the technical needs of the course at hand. Check that subject matter experts (SME), instructional design professionals and animation, graphic, animation, and simulation development resources are available? Next, find out if they are experts in their chosen fields and can rise to the occasion. Find out if a project management resource is available and how responsive stakeholders, SMEs and others will be in terms of review, feedback and approval. Here, you would have to find out how familiar your learners are with software, multimedia and e-learning? Will their work environments and managements allow for this focused learning? What qualities should the custom e-learning developer have? Is the e-learning provider a specialist in one area of the process or a generalist? Has the content developer worked with large chunks of content and across a wide spectrum of industries? What is the developer’s approach to work-collaborative or iterative? Does the developer use on-line editing software during the development process? Is there an online review and feedback process in place? What efficient technologies does the developer use? Can the company show any samples of work done?